1. The Olympics will not be in Boston in 2024. After a long campaign to bring the Olympics to Boston in 2024, ultimately it was decided that the city will not be hosting the games less than nine years from now. The Olympics in Boston could have been a massive economic boost for the city, and all of the shops, restaurants, bars, and hotels throughout the region. The Olympics would have been an effective advertisement for the entire world to view, showcasing everything Boston and parts of Massachusetts has to offer. This, however, many feared would have come with an expense that the Commonwealth does need, and what many felt, does not want. 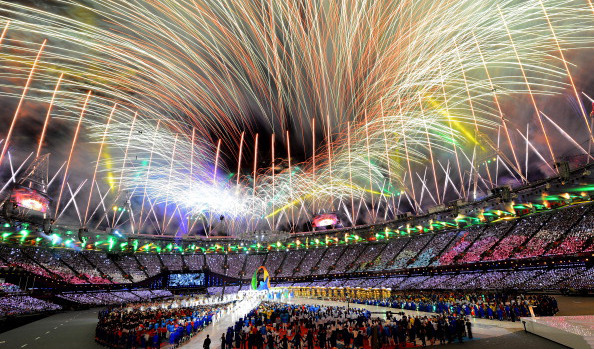 The argument over the pros and cons of hosting an Olympics will most likely go on for many, many years. But one thing is for sure, much of the sports and entertainment industry in the region would have loved to be part it. Both Gillette Stadium and TD Garden were part of a long list of possible venues that could have hosted events. In addition to cities in the eastern portion of the state, the list of venues extended to Western Massachusetts as well. Apparently some people in Boston still believe that Massachusetts extends past Framingham. 2. TD Garden's mixed-use development plans look stunning, and ambitious. The future for TD Garden may one day consist of much more than an 18,000-seat arena and a major transportation hub. Delaware North Cos., parent company of TD Garden and the Boston Bruins, have plans for a mixed-use development adjacent to TD Garden and North Station that will transform the arena and station into a center for commercial and residential use, as well as transportation and entertainment. This project will be one to look out for in 2016. 3. 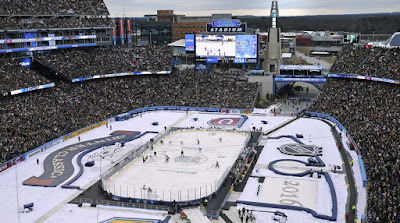 Gillette Stadium makes a great venue for outdoor hockey. After years of wondering what Gillette Stadium would be like to host an outdoor NHL game, this past week has shown the region that Gillette truly is a great host for the Winter Classic. The real question is why did it take so long for outdoor hockey to come to Foxboro. Hosting the game at Patriot Place will allow fans to make an entire day out of the game, with shops, restaurants, bars, entertainment and a hotel. Gillette is proving to be a wise choice for the NHL and Bruins to host this annual event. The only problem is that now we may be running out of New England venues to host the event in the future. Can you say East Hartford in 2020?